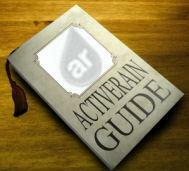 Many AR members have been creating and setting up their outside ActiveBlogs on ActiveRain. I've had the pleasure of helping some, but also know that there have been a ton of these created that I and others have missed. Driving visitors and traffic to your new Blogs is essential in getting them Active and all over the search engines. Here's a great chance and way to do that. Please take a moment to visit these members Blogs, see what they've done, and drive them some SEO love. It would be great if you could leave them a comment too. I'm sure they will all do the same for you. There's a wide variety of styles and Blog types from our various Industry Professionals, everything from REALTORS®, Stagers, Lenders etc. I'd love to have some examples from every AR Category below. Be sure to take a second and leave us a link to YOUR ActiveBlog in the comments so we can add you to this list. There are probably 700 - 1000 of them out there right now, and soon there will be thousands more. Let us know about yours, or add a link here when you get one setup, I'll try and help pay it forward. We're also looking for some ActiveBlog examples to feature on our AR landing page. This is for when other members are interested in finding out more about creating their ActiveBlogs and want to see what you have done with yours. If you're interested in being on that page, again, just leave your link below. ActiveRain Tutorial- Bookmarking and More! What is a ReBlog? When to use this feature.